Polished Concrete is a tremendously durable flooring surface! The combination of polishing and the application of professionally applied silica hardeners creates a surface that is at least two times harder than unpolished concrete. The shine that is brought out by polishing IS the surface of the concrete, not a wax or other sacrificial coating.  In fact, daily use of polished concrete generally results in a MORE polished surface. We are certified installers of FGS PermaShine™ and can offer a ten year guarantee through L&M Construction Chemicals. This level of durability is unequaled in any other flooring product. It's resistance to scratching, chipping, dusting, and abrasion is unmatched by epoxy, wood, vinyl or ceramic tiles. 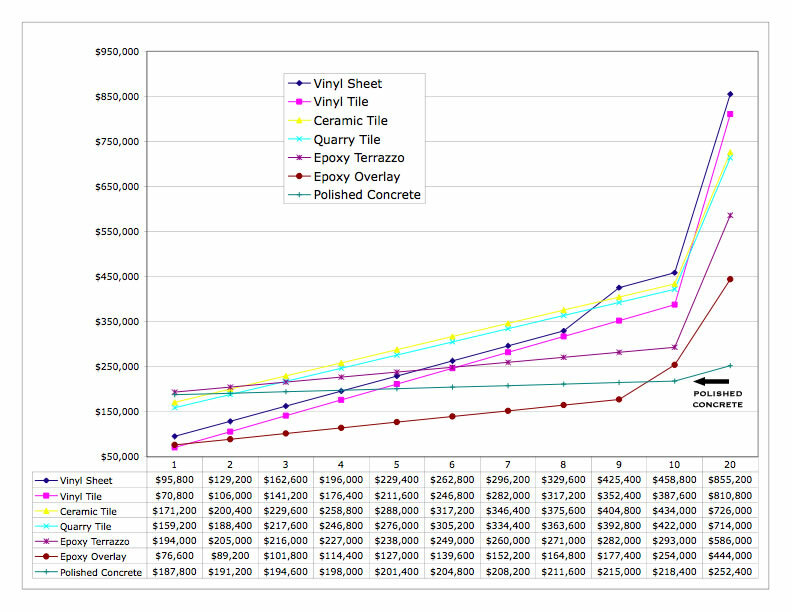 Cost comparison chart of seven types of flooring over 20 years.